PresidentialWatch08 is a really nifty website that represents all the US political blogs visually and organised by political persuasion. I’ve not had a real play with it yet but you can zoom into the network and see which blogs link to others, get an idea of blog size/popularity (based on links) and see screenshots of the each site. Pretty damn cool. I recall Antony Mayfield had something similar around the this time last year, but this would be a great tool come the next UK general election. Any offers? I’m reading one of those great Very Short Introductions to… from Oxford University Press at the moment about Anarchism. I cannot recommend it highly enough as a thought-provoking bridge between political theory and changes the internet is creating for business and society. For example, it’s fascinating to learn that at the core of anarchist thinking about healthcare, education, business etc is the notion of small, self-organising communities with little or no central control. Compare this to how the internet operates and a number of parallels become clear. I find this mind blowing. Every single one of these fits almost perfectly the different types of organising taking place on the internet. Voluntary – read Benkler’s Wealth of Networks: the idea of people giving their time and expertise for free or on a voluntary basis is revolutionisng production – both of knowledge and physical goods. Functional – slightly more vague, but suffice to say that while design is important to an extent, good functionality and usability are key to the success of internet tools. Take for example the basic simplicity of sites like of Wikipedia and del.icio.us – they might not be pretty but they do the job successfully. Temporary – While this may seem an odd choice of criteria at first fi you clarify what Ward means then it makes perfect sense. Rather than meaning short-lived, Ward uses the term to indicate a willingness to change; to be shaped by the ends of the user or community. This is a key proponent of web 2.0 tools. All ‘social’ websites by their definition are open to the requirements of the community. Small – again this criteria needs further clarification. 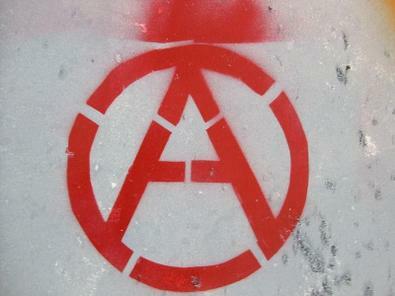 As Ward suggests in the quotation about, the ideas of anarchists are perpetually being re-shaped to meet current social, political and economical conditions. Ward specifies small as a key criteria as he talks only of the offline world where anarchist initaitves need to remain small in order to be sustainable. The internet reduces all barriers to scalability and supports many small-scale communities or one large one. So what does this all mean for us as digital strategists…? I haven’t yet worked that out (and would welcome any suggestions) but ultimately I think this starts to offer us ways of applying established political (anarchist) theories to the online world. Perhaps we can even use this information to guide our clients more successfully through the social and business changes they are experiencing. Maybe not mention that it is based on anarchist theory, eh? 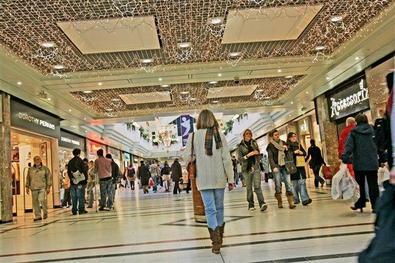 "there are only two platforms – the individual user and the web"
In the run up to Christmas, as my wife and I spent endless hours shopping, I noticed – perhaps unsurprisingly – that a lot of young people seemed to just ‘hang out’ in shopping centres. I suppose this has been an anecdotal trend in the US for a while, but I hadn’t ever really noticed it in the UK before, although I’m sure like the US this isn’t anything new. But more than that I noticed ever vigilant security guards patrolling the shopping centres and young people clearly trying to evade them. So it dawned on me that shopping centres had become the new parks. When I was younger (not that long ago) we met in the park and played/mucked around there. We had to watch out for the park attendents though – much in the same way that kids today have to watch out the for the security guards. Story in today’s Guardian about a Cambridge admissions tutor using Facebook to "check" on students applying to his college. check up (discreetly) on applicants for a college position." Cambridge University and the NUS say that Facebook shouldn’t be used as part of the offical admissions process (and there’s nothing to suggest it was). Part of me thinks that’s the right move, but then part of me likes the idea of throwing something less formalised and beaureacratic into the mix. For the sake of equality lets make sure they check MySpace too. I’ve just seen Colin Byrne’s post on the main UK political parties plans for online campaigning. Derpessingly, it seems that Labour and the Tories will be turning to ad agencies for their digital work. No digital PR work on the cards… for yet, at least. Authenticity and trust are set to be major themes for online political campaigns which is interesting as it is starting to look as if the ad and marekting industries are turning their reputations around through their "authentic" online work. Meanwhile many in the UK’s PR industry still struggle to shake their reputation as ‘spinners’.